Ombre isn’t just a colour fad. We reckon the dip-dyed trend is here to stay – think of it like the hair equivalent of skinny jeans. Could you imagine going back to flares? No sir! The new way to wear it is uber subtle, giving hair a fresh lift, as seen on actress Sandra Bullock. The 49-year old added warm brown pieces through the front section of her hair – a great trick for brightening the complexion – keeping her roots and base colour a gorgeous chocolate. 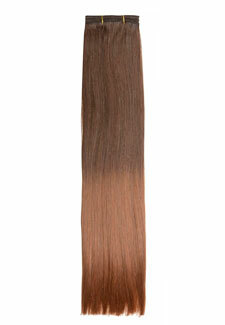 It gives locks a natural, sunkissed look that is much more flattering than solid block colour. We can’t believe the ‘Speed’ actress is almost 50 – she looks better than ever! 3. Lisa Shepherd Redken Express Color Bar – walk in and enjoy a colour overhaul in less than an hour. Choose the Catwalk Color option, £25, for some face-framing highlights. It’s only available in five salons right now but will be rolling out nationwide in the new year.